White House Press Secretary Sarah Sanders said President Donald Trump intended no harm against Rep. Ilhan Omar’s (D-Minn.) with his post on Twitter underlining Omar’s comments downplaying the 9/11 terrorist attacks. She was responding to criticism from Democrats, including presidential hopeful Beto O’Rourke, who said the tweet was an “incitement to violence” against Omar. “Certainly, the president is wishing no ill will, and certainly not violence, towards anyone,” Sanders told ABC News’ “This Week” on April 14. “But the President is absolutely and should be calling out the congresswoman for her, not only one-time, but history of antisemitic comments,” she said. Sanders described Omar’s comments as “disgraceful and unbefitting” as a member of Congress and added that she believes its a good thing the president called her out. The top White House aide also accused Democrats of not coming out themselves to criticize their colleague. “They do these watered down push-backs that, frankly, they feel like give them enough cover, but aren’t really getting the job done,” Sanders said. Omar’s description of the 9/11 attack as “some people did something” drew widespread condemnation including from Republican lawmakers, who said her remarks minimized the 9/11 attacks. Some critics claimed the president took Omar’s words out of context in an attempt to stoke anti-Muslim sentiment. 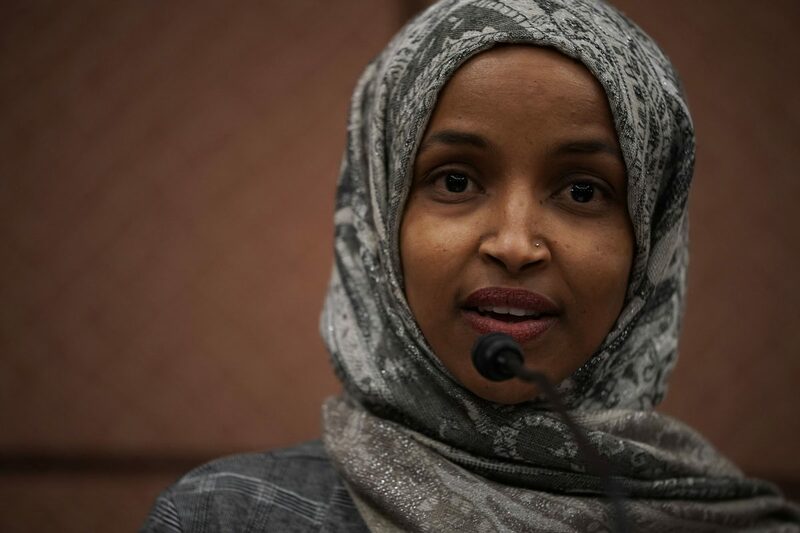 Trump told reporters on March 8 that Democrats have now become “an anti-Israel party, they’ve become an anti-Jewish party” after Omar—a Somalia-born Muslim—sparked fresh criticism for questioning why U.S. lawmakers support Israel. Previously, Omar said that “Israel has hypnotized the world” and supported the anti-Israel “Boycott, Divest, and Sanctions” movement. Omar also took to Twitter in February to insinuate that Jewish group American Israel Public Affairs Committee (AIPAC) was behind a scheme to exchange funding for politicians in return for support of Israel. After a fierce backlash from across the political spectrum, she apologized, but also suggested she was being criticized for speaking her mind. 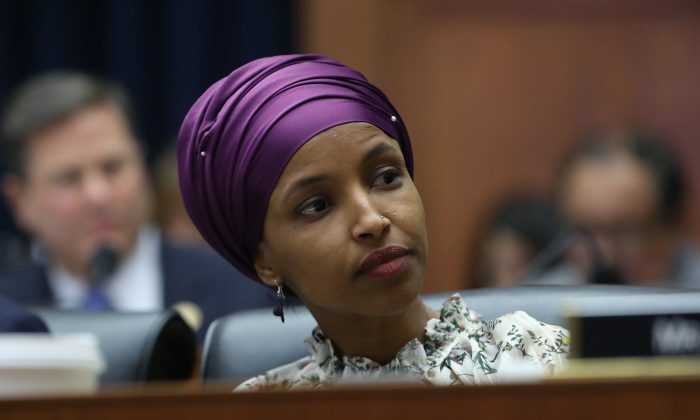 Omar’s previous Semitic comments were perceived by many as a smear against lawmakers who support both the United States and Israel, and even earned praise from notorious anti-Semite, former KKK leader David Duke. Explaining why the resolution was amended from its original version that only condemned anti-Semitism, House Speaker Nancy Pelosi (D-Calif.) said on March 7 that a new version of the resolution was expanded to “speak out against anti-Semitism, anti-Islamophobia, anti-white supremacy and all the forms that it takes.” The speaker, however, added that it is up to Omar to “explain” her remarks.